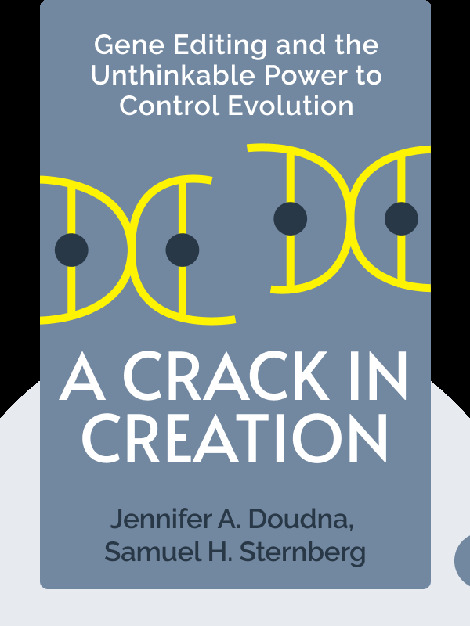 A Crack in Creation (2017) describes everything you need to know about CRISPR, a new technique to alter the genes of living organisms. These blinks explain the scientific details of gene editing, while also discussing its medical and ethical implications. Jennifer A. Doudna, PhD, is a professor of chemistry and molecular and cell biology at the University of California, Berkeley. She is a leading international expert on CRISPR biology and genome engineering. 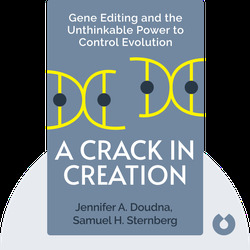 Samuel H. Sternberg, PhD, is a biochemist and the author of a number of high-profile scientific publications on CRISPR technology. He is the recipient of the Scaring Award and the Harold M. Weintraub Graduate Student Award.